Peridinium bipes F.Stein Yardley Chase, Northamptonshire, UK. BF image. Type locality: aus den Teichen von Chodau (Silva 1996-to date).see above. Accesses: This record has been accessed by users 2911 times since it was created. Park, H.-D. & Hayashi, H. (1993). 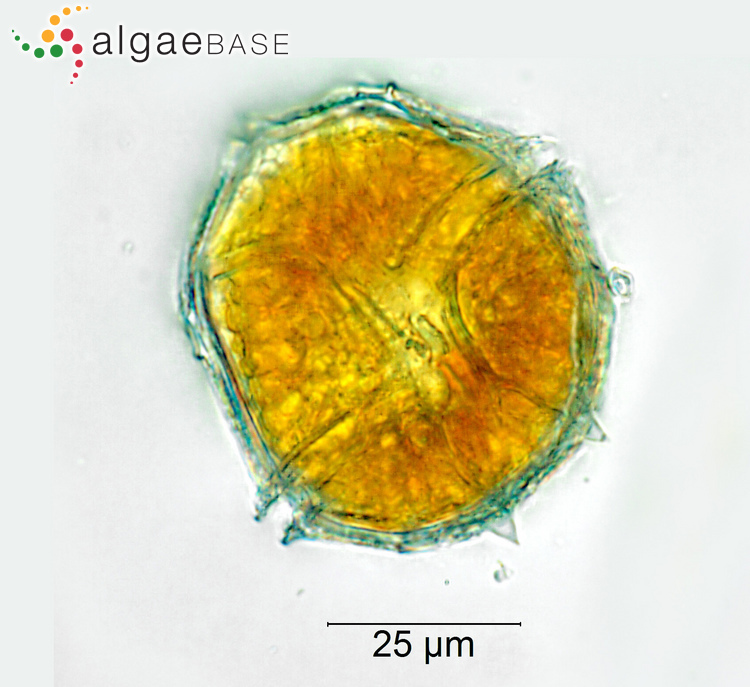 Role of encystment and excystment of Peridinium bipes f. occulatum (Dinophyceae) in freshwater red tides in Lake Kizaki, Japan. Journal of Phycology 29(4): 435 -441, 11 figs, 1 table.